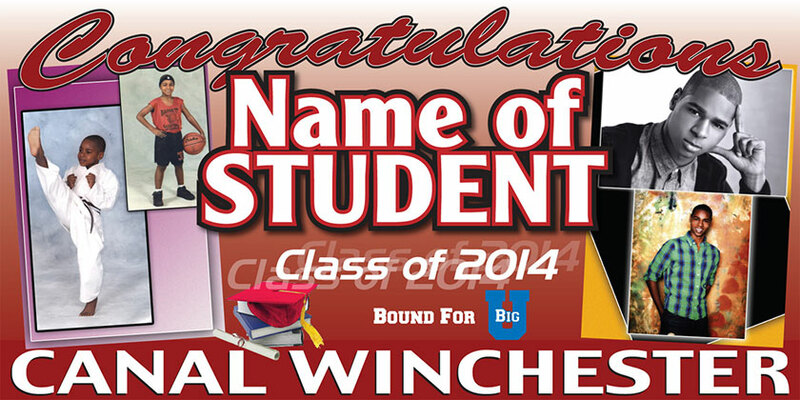 Want a graduation sign for your Columbus, Ohio, graduate? When I graduated high school I got a hug from my mom and firm handshake from my dad and that was the end of that. Nowadays it has become a tradition to congratulate the graduate with a big sign in the front yard or above the garage. As a sign maker, I think this is great! We have made hundreds of graduation signs over the years. Each sign is unique, containing the name of the grad, their school, the year, and where they might be headed off to next. Banners are the most common type of material used for these signs. But because banners can be hard to hang without proper support, we also offer a rigid-style sign made from corrugated plastic. These come with a large metal step stake that makes is a snap to set up and take down. 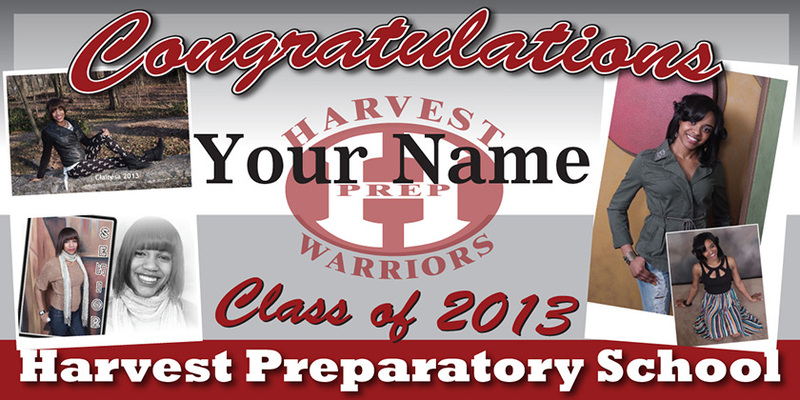 Give us a call for prices and to hear the merits of both types of graduation signs.